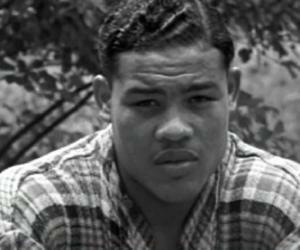 Joe Louis was a famous American boxing champion. This biography provides detailed information about his childhood, life, career, achievements and timeline. children: Jacqueline, Joseph Louis Barrow Jr.
Joe Louis was an illustrious world heavyweight boxing champion, who held the title of ‘world heavyweight champion’ for longer than anyone else in antiquity. Fondly known as the ‘Brown Bomber’, he brought about weighty skills to the game, which no one had seen till his time in the world of ‘boxing’. Of his 27 main fights, in which he came out victorious, four were won through knockouts. During his long and industrious career, he established his status as a meticulous fighter at a time when the sport was subjugated by bookmaking. Even years after his retirement, his influence was felt in the game he once dominated. He is widely viewed as the first African-American to attain the rank of a national champion within the United States. He also became a pivotal point of anti-Nazi feelings which played a role in leading upto World War II. He shot to international prominence after he defeated world heavyweights such as Stanley Poreda, Natie Brown and Rosco Toles. 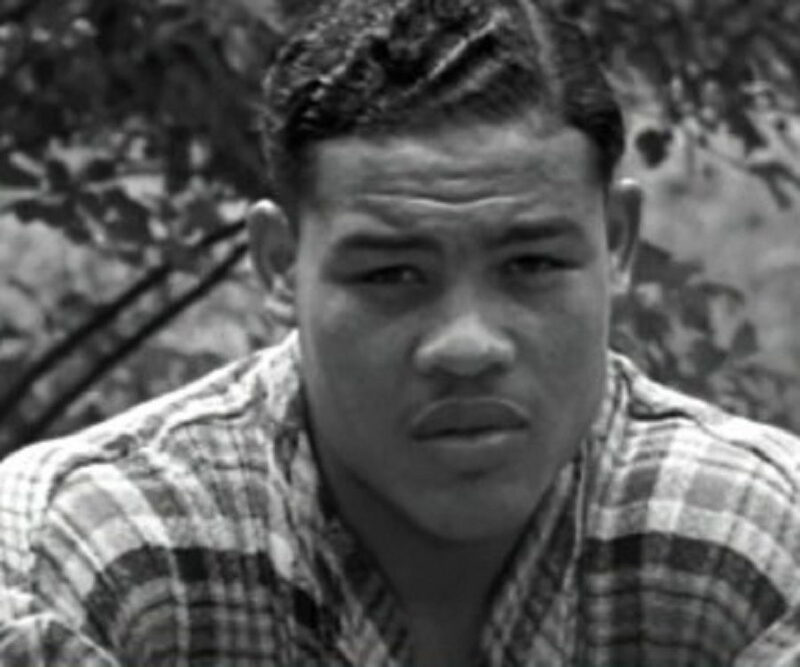 Joseph ‘Joe’ Louis Barrow was the seventh of the eight children born to Lillie and Munroe Barrow in Lafayette, Alabama. He was of African-American-Cherokee descent. Both his parents were children of former slaves in America. 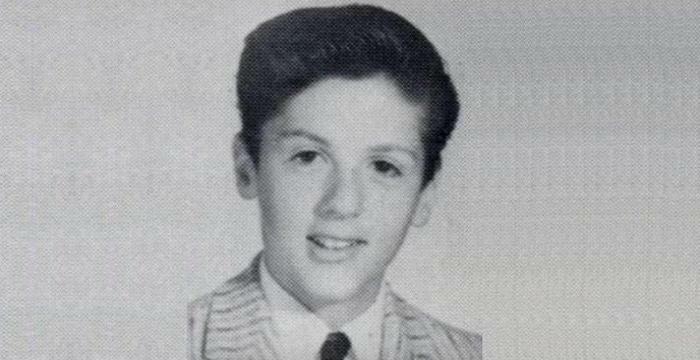 When he was a young boy, he suffered from a speech disorder and spoke very less till about the age of 6. He spent most of his early years growing up in the countryside of Alabama. In 1920, his mother married Pat Brooks, a production contractor, after his father Munroe Barrow was admitted to a mental facility. Munroe Barrow lived there for the remainder part of his life and passed away there. He studied at Bronson Vocational School and even though his mother always tried to get him to learn the violin, he carried his boxing gloves with him secretly everyday. 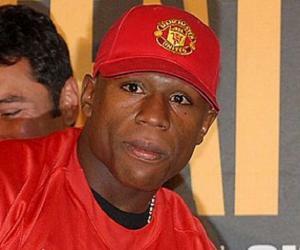 He made his amateur debut as a boxer when he was just 17-years old. In 1933, he won the Detroit-area championship, when he fought against Joe Biskey in the ‘light heavyweight’ division. 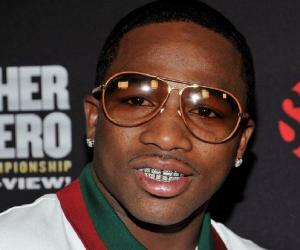 The next year, he won the ‘light heavyweight’ division in the Chicago Golden Gloves Tournament of Champions. In 1934, he went on to win the United States Amateur Champion National AAU tournament in St. Louis, Missouri. These amateur performances, in which he produced 43 knockout victories in 54 matches, soon caught the eyes of certified boxing promoters, who soon approached him. By the end of 1935, it was clear that his string of amateur-level successes was no coincidence. He fought 14 sessions that year and received nearly $370,000 in prize money. The next year, he had his first professional downfall to Max Schmeling, a former heavyweight champion. Undeterred by the defeat, he fought Jim Braddock in 1937 for the heavyweight crown and managed to eventually defeat him in the eighth rounds. He set the record as the new heavyweight king, earning the title of ‘Brown Bomber’, a title he kept for 12 years. One of his most iconic matches was a replay with Schmeling in June 1938. The fight took place in the Yankee Stadium before colossal crowds and in a matter of less than three minutes, Louis beat Schmeling with swift advances and knocked him down three times, before the referee announced him as the clear winner. From 1939 to 1942, he secured his ‘heavyweight’ titled thirteen times. During this period, he was successful in his matches against John Henry Lewis, Tony Galento, Arturo Godoy, Al McCoy and Buddy Baer to name a few of the top heavyweight names, whom he defeated. He registered with the army in 1942.The next year, he made a brief appearance in the Hollywood ‘war’ musical titled, ‘This Is the Army’. On April 9, 1945, he was promoted to the rank of technical sergeant. The same year, he was given an honor by the army. After he got out of the army, he suffered from extreme financial debts. He retired from boxing on March 1, 1949. He made a brief comeback but he failed to create the sort of magic he created earlier. Hence, he officially called it quits on October 26, 1951, after he was knocked out by Rocky Marciano in a match. After he retired from boxing, he was requested to partake in the San Diego Open for golf in 1952; a sport that he adored and followed right from his early years. He went on to become the first African-American to play a PGA Tour event. He also invested in a number of businesses, many of which failed, including the ‘Joe Louis Restaurant’, ‘Joe Louis Insurance Company’ and a softball team called the ‘Brown Bombers’. It was during this time, he was a referee for boxing and continued with refereeing for the sport till 1972. He was last seen viewing the Larry Holmes-Trevor Berbick Heavyweight Championship in 1981, just hours before he passed away. He won the Chicago Golden Gloves Tournament of Champions for the ‘Light Heavyweight Champion’ category, in 1934. He won the National AAU Boxing Championship for the ‘Light Heavyweight Champion’ category, in 1934. The ‘Ring Magazine Fighter of the Year’ Award was conferred to Louis, in 1936. He held the title of ‘World Heavyweight Championship’ from the years 1937 to 1949. In 1941, he won the Edward J. Neil Trophy. In 1945, he was awarded the prestigious ‘Legion of Merit’ by the US Army. He also held the title of ‘Youngest Heavyweight Champion’ from 1937 to 1956. He married Marva Trotter with whom he had two children. He then went on to adopt three other children. He divorced her in 1945, only to marry her again and divorce her again. In 1955, he married Rose Morgan and their marriage was annulled three years later. He married Martha Jefferson in 1959 and the marriage lasted a lifetime. Apart from his marriages, he enjoyed the company of other women such as Sonja Henie, Lana Turner and Lena Horne. A movie about Louis’ life titled, ‘The Joe Louis Story’ was filmed by Robert Gordon, with Coley Wallace playing the role of the protagonist. He started doing drugs and in 1969, he was hospitalized after he collapsed on a street in New York City. It would later be revealed in the 1971 book by Barney Nagler, ‘Brown Bomber’, which tags cocaine as the reason of the collapse. Towards the end of his life, he suffered strokes and a number of heart ailments and later, even underwent surgery to correct aortic aneurysm, in 1977. He passed away due a cardiac arrest near Las Vegas, hours after his last public appearance. He was buried with full military honors at the Arlington National Cemetery. 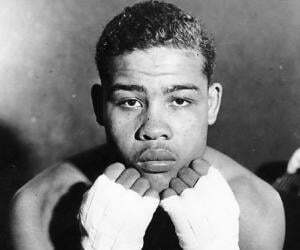 A sports stadium is named after him in Detroit called the ‘Joe Louis Arena’. A memorial in Detroit was also made in his honor. The memorial is a 24-foot-long arm with a fisted hand, which is said to be a depiction of his hand. He was posthumously awarded the Congressional Gold Medal, in 1982. 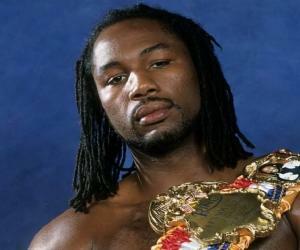 In 1993, he became the first boxer to be featured on the US postage stamp, issued by the US Postal Service. He made it into the list of ‘100 Greatest African-Americans’, in 2002. A bronze statue of Louis was unveiled in his hometown, located outside the Chambers County Courthouse. This famous world heavyweight champion backed the careers of several African-American golfers including Bill Spiller, Clyde Martin, Charlie Sifford and Howard Wheeler to name a few.